First of all, there will be different homeschooling advantages and disadvantages for every child. We originally planned on only homeschooling our 7 year old. He is currently way above grade level and I am not a huge fan of grade skipping. He skipped a grade in math, but it still wasn't hard enough and he was missing other things that he liked (Art, for example) because of the lack of a unified schedule. I don't expect a grade school to have a unified schedule, but it can make things hard for an asynchronous kid. We ran into the same problem with our 9 year old (he was skipped in math, but missed 1-2 days every week because of things he had to be in the other classroom for). That means he is only getting 60-80% of the class. Tailor the curriculum to a child. Teach the child, not the curriculum. If your kiddo is above grade level in one subject and below grade level in another use the best program for them, not the best program for a school. Spend lots of time with your child. Choose curriculum that is not as parent-active if you do not have the time, there are lots of options. This next couple of homeschooling advantages and disadvantages bullet points are borrowed from a great article from Education Corner on the Benefits and Disadvantages to Homeschooling. Head on over to see a few more of their own ideas. Shelter children from violence, drugs, and bullying at school. I borrowed this one because I have seen it as a huge homeschooling advantage listed on homeschool forums, but we never dealt with anything like that. If your child is being exposed to violence, drugs, or bullying then schooling at home is for you. You will have to be around children all day. I borrowed this one because it is almost the polar opposite to what I considered a homeschooling advantage. Disadvantages and advantages are all dependent on your own perspective. Be honest with yourself, if you need more social interaction that what you will get with a child in tow all day then give yourself a break! And on to a surprise one (for me). I am three weeks into homeschooling and I had an unexpected homeschooling advantage. My children are more relaxed and their afternoon play is more creative. This is due to school stress and just the “wind-down” time that is required when you work (or learn) outside of the home. When the kids came home from school they first needed a snack, we went through their school day and homework, then they wanted to watch a show or play on their tablet for an hour or so. When they snapped out of it it was generally very close to dinnertime. Then they would start to play (or do after school activities) and be upset when time ran out. Less school stress! This is true for us even though the level of work they are doing is quite a bit higher than the school. There is no wind-down time, no extra bus time, no homework. but…. More school stress for mom (or dad). However, being in charge of your child's entire education and having to come up with the curriculum and lessons may lead to more stress for you. Depending on how much stress you are under with your child's current school set-up, this may be a homeschooling disadvantage. Create a weekly schedule that fits your needs without the constraint of a traditional classroom schedule. This would be a bigger advantage for me if I didn't have a child in kindergarten at the local school. Since she is going to school I do keep a traditional school schedule for the boys. I did not want her days off and school times to be drastically different from theirs. However, within the school day they choose the subjects to start with, end with, and everything in between! Spend more money on school than you might be accustomed to. This is another surprising homeschooling disadvantage for me. Curriculum is expensive. You can do it for less, but it still adds up. Even little things like field trips can add a lot of extra cost to homeschooling. This will be compounded with the fact that one parent will have to (usually) stay home to do the schooling. The lack of a second income will change the mind of many possible home school families. Of course, earning money with swagbucks will help! And the final two homeschooling advantages and disadvantages bullet points are from School Money. They had some ideas that I definitely did not think of (although some of their ideas I do not understand or agree with such as the one about dangerous school trips… My local school never went on any of those and the one about lack of social interaction. There is a lot of research now showing that social interaction at school does not affect social interactions as an adult.) The two I picked out did not apply for my kiddos, but they might for yours so they are good to include here! 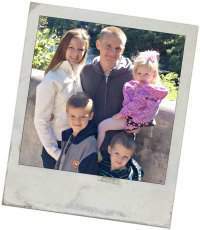 Their article is on Homeschooling: Advantages and Disadvantages if you would like to check out their other eleven thoughts. Control over diet. If your child has a lot of food allergies then not having to deal with a school cafeteria is a big homeschooling advantage for you. Time. Time, time, and more time! Homeschooling will take time from your day. Lots of it. 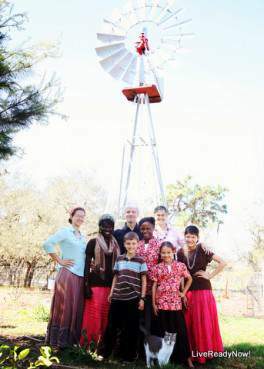 If you are not ready for that then this would be a definite homeschooling disadvantage. So there you have it. 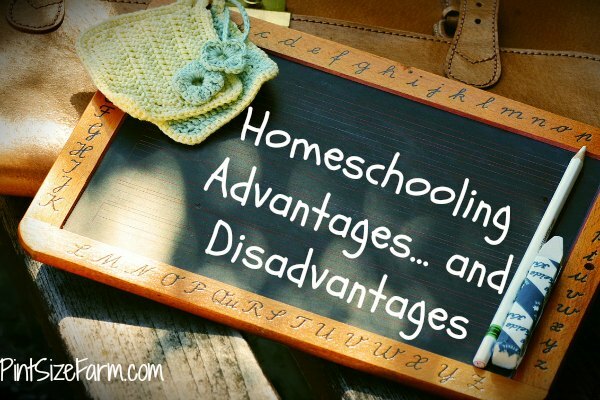 Ten Homeschooling advantages and disadvantages (six advantages and four disadvantages to be exact!) I hope this helps your decision to (or not to) homeschool! Bathroom recycling tips are super important because research has shown that it is an area that is easily forgotten. Personal care products like shampoo and lotion bottles, toilet paper rolls, and toothpaste and soap boxes are significantly less likely to be recycled than kitchen products, but it is just as easy to drop these bathroom products in a recycling container than the kitchen ones. 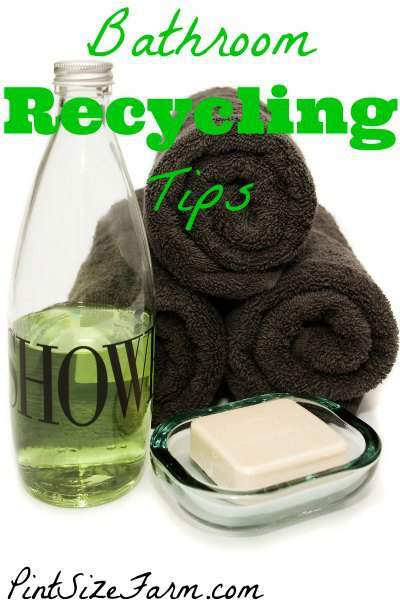 Start using these Bathroom Recycling Tips today! Plus, the bathroom is a great place to go green. Here are some bathroom recycling tips so you can throw out those harsh cleaners and live a healthier lifestyle today! 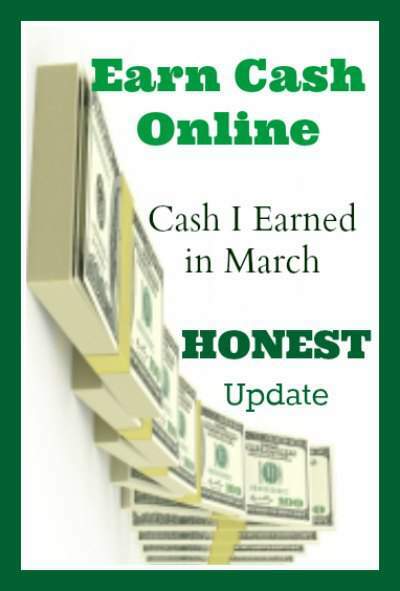 I've been super busy this month and I haven't had a chance to update my homestead on a dime challenge earn online cash earnings from last month, so here it is! I love to hear how you guys are doing to so be sure to connect. This year I challenged you to earn an extra $600-$1800 extra by spending 10-60 minutes a day to earn online cash. I did great in March (although I will have a smaller April since I have been too busy to do any more than 10 minutes a day and there have even been a few days I missed that). I never count my money until it is in my hand. This month I had a little bit of cash and a little bit of Amazon gift cards. There were 105 post submissions last week! Let's see if we can beat that this week! Each HomeAcre blog hop host features a different post each week (there are six of us) so you have a good chance at getting a feature. Please read through the rules before you link up! I post them just above the linky. There were 102 post submissions last week! Just over that 100 mark. Great posts, everybody. Each host features a different post each week (there are six of us) so you have a good chance at getting a feature. Please read through the rules before you link up! I post them just above the linky. 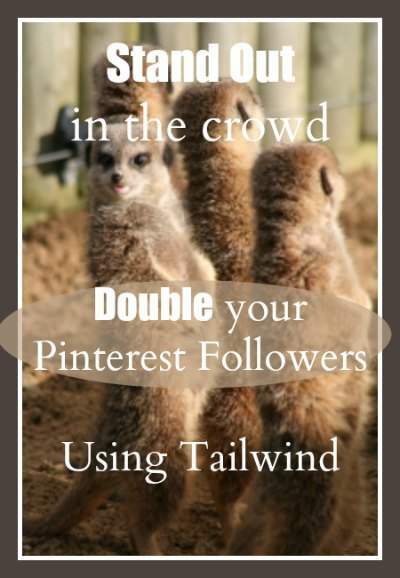 This post is about how to optimize tailwind to double (or more) your pinterest followers. I went from 968 followers to 3155 in the 2 months after I joined tailwind. Tailwind is a pinterest scheduler. 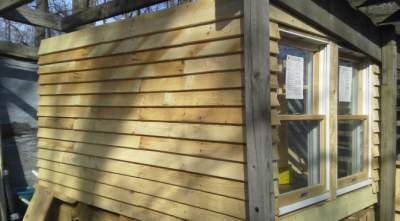 This post is not about homesteading, gardening, or any of my normal topics. If you are interested in blogging it can be a fun way to socialize on the internet and…. maybe… earn a little money in the process. It is one of the thing I mentioned in my creating multiple income streams post (which I do consider an important part of homesteading). Vegetable Garden Planner… The BEST! 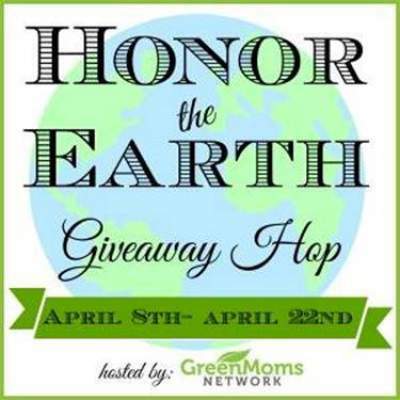 This best vegetable garden planner giveaway is part of the Honor The Earth Giveaway Hop! Be sure to scroll to the linky at the bottom of the page to see all of the great giveaways (including the best vegetable garden planner giveaway in this post). Win the best vegetable garden planner! You plant your garden… and you forget where you put the peppers. You decide to add fertilizer, but you have to look up your organic fertilizer recipe each time. You are pretty sure you need to start those seeds… but then again, what were those dates again? I found the solution, seriously! This is the best vegetable garden planner out there and there is even room for you to customize it to your own tastes. So, how do you get (or win) this planner?